Welcome to Bunny.nu » Blog Archive » Sticky Furrybutts! 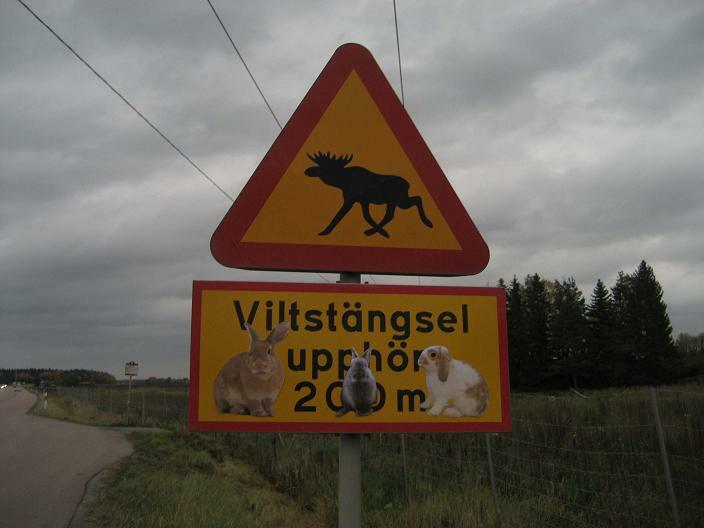 Last Fall, the Furrybutts heard that Betsy and Gus had been to Sweden looking for the majestik møøse, so the Furrybutts did the same. Here they are on moose lookout, sitting by the sign meaning “Look out for moose!”. This entry was posted on Thursday, February 19th, 2009 at 7:59 pm	and is filed under Bunnies. You can follow any responses to this entry through the RSS 2.0 feed. You can leave a response, or trackback from your own site. we’ll get those guys up on the Sticky Bunns web site right away! Make ur they manage to get home for 1st Rabbit Show in Malaysia.. we need them for the cheerbunnying! Make sure they manage to get home for 1st Rabbit Show in Malaysia.. we need them for the cheerbunnying!